We bought our Barbados at a much reduced price being ex display (as new). This was an upgrade to our polyester Outwell and so far we are delighted. 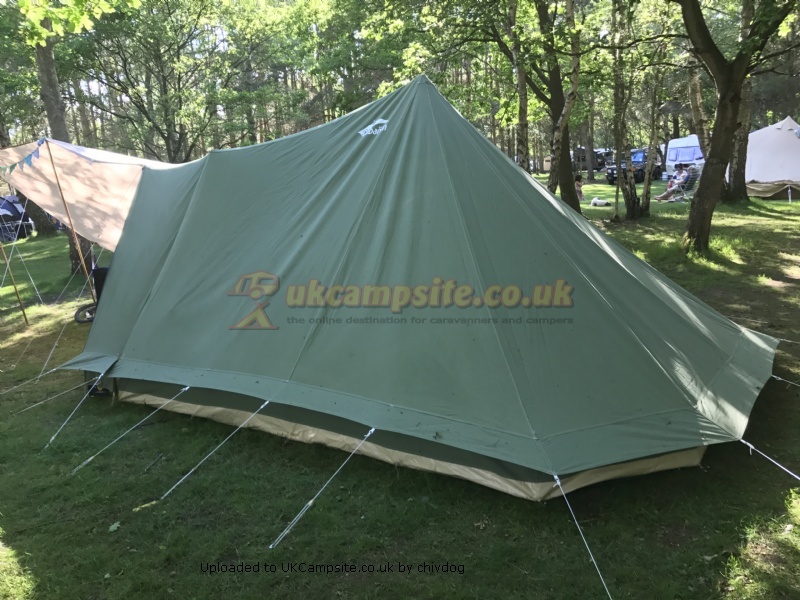 The tent is really easy and quick to pitch - maybe 20 minutes to get the 4 corners pegged and tent up with all it's poles in place, then a few extra minutes then to peg out the remaining guys. It helps to have an extra person to hand to help lift the canvas when putting up the central pole. 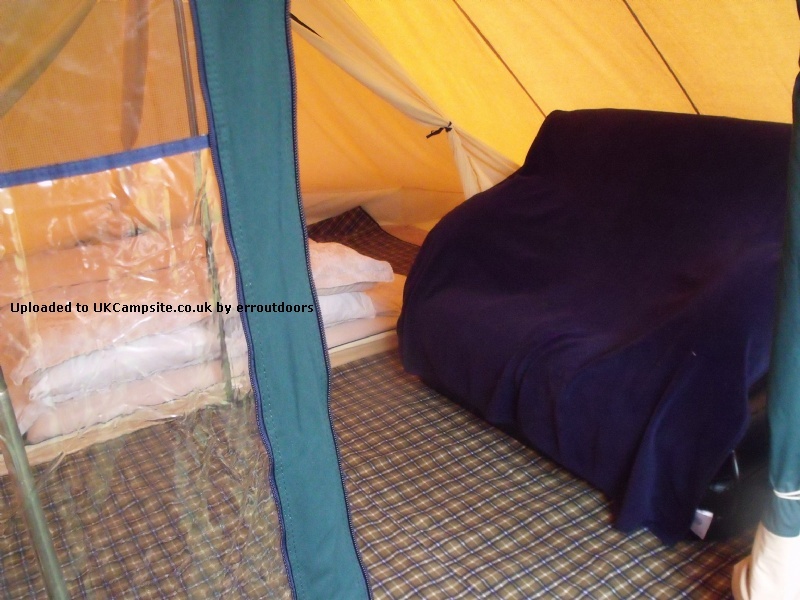 We have camped for a total of 3 and a half weeks this year in all weathers and the tent has been watertight throughout. The tent feels dryer inside than our polyester tent and it's better insulated. It's quieter in wind and rain than a polyester tent too. Size wise the tent is perfect for three of us. The lounge area provides enough room for a bit of storage and for sitting about in during bad weather without feeling too cramped - we fit in three small chairs, a small low table and our clothes holdalls ok. For people with tonnes of gear/camping wardrobes etc, then it may be a tight fit. The separate inner bedroom pod is optional - we've been tempted to leave it out for a more spacious feel but the inner makes a marked difference to warmth in colder evenings and adds privacy so we have used it every time. Although the bedroom pod slopes quite a bit at the back and is quite 'blousy' it does fit our three low wire legged campbeds. 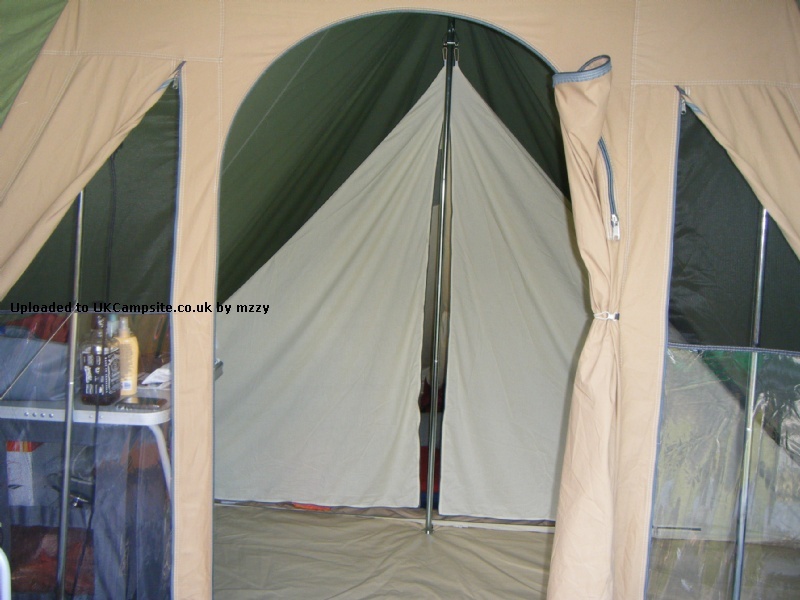 The front area of the tent (where the door is) can be half unzipped open which is a nice feature during warm weather and there are also mesh panels at the top of the windows to aid ventilation. It's a shame that there aren't any air vents at the back or sides of the tent to improve airflow during really hot weather. The front porch area extends about a metre overhead but down the sides it tapers off. We bought the optional side panels which provide additional sheltered space outside and they can be pegged back out of the way in fine weather. Could do with a bit more overhead shelter and may invest in a tarp for this purpose. We found that the front porch collects a bit of rain water but angling one of the canopy poles so that the porch slopes slightly causes the rain to run off quietly down the outside of the side panel. The rubber foot at the top of the central pole split on second outing- easily bodged in the field with a bit of padding and a thick sock and still going strong. Spares not so quick to obtain from Cabanon, but have two on order for next season. There isn't a rubber protector on the bottom of the central pole and our concern was that the metal foot would dig in to the groundsheet so we use a square of rubber bathmat as protection. We replaced the basic bag(sack) the tent came in with an awning bag and separate pole bag - much easier for carrying. In all we have really enjoyed camping in our Barbados this year. 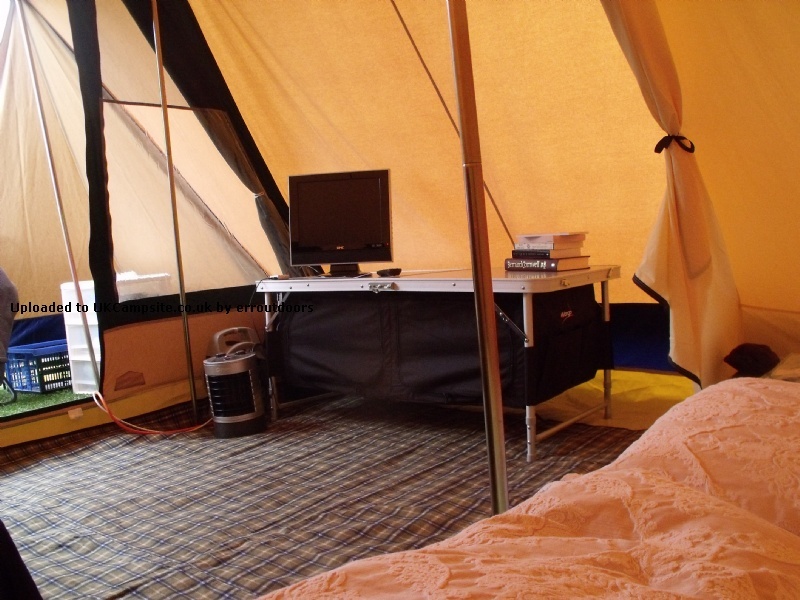 It's provided a most comfortable camping experience in rain and shine. We've not yet tried it in really windy conditions although I've seen comments that this shape of tent should cope well in such conditions. 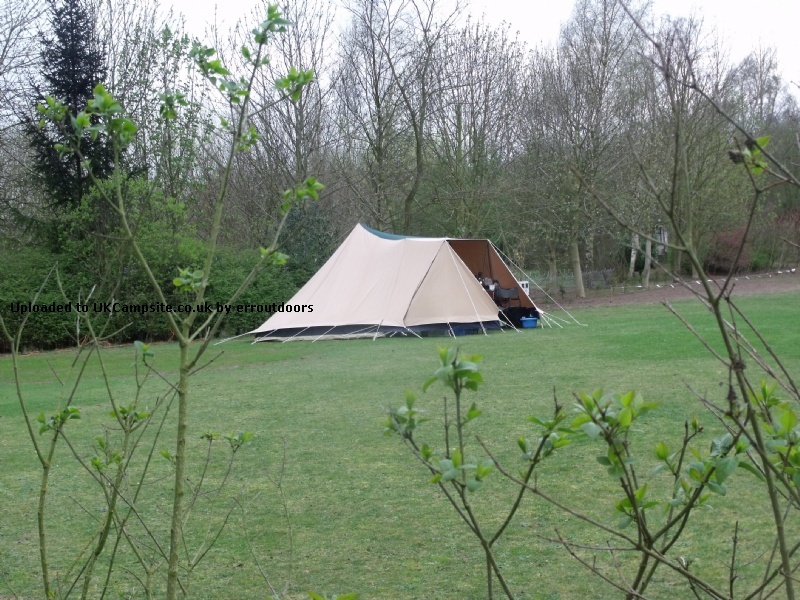 We've had a few people admire the tent on our camping trips which isn't surprising - it looks as it is - a good sturdy and classy tent which should last years. I love our Cabanon Barbados. We've used it twice now for both May bank holiday weekends and it's been perfect. There is plenty of room for the four of us (2 adults, 2 kids under 6 years old). It poured rain on both weekends, the Barbados didn't let a drop in. Easy and fast to pitch and rock solid in bad weather. Looks great too. I upgraded the guy tensioners to clam cleat line loks. Couple of small downsides: (1) no EHU access, (2) porch /canopy area quite small (3) no rear air vents (4) no fly screen (5) limited storage and (6) the inner tent attachments to the main pole are flimsy and ours tore off on our second trip. 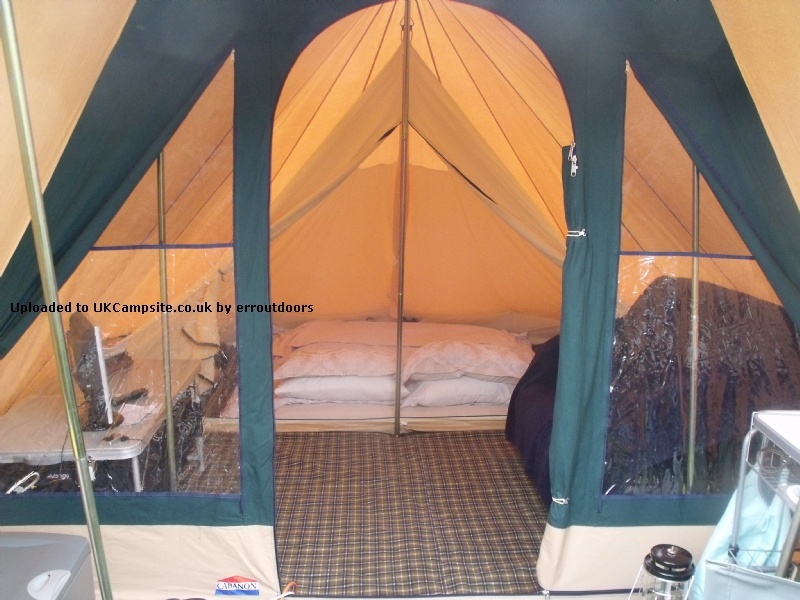 We bought our Cabanon tent a couple of years (2011) ago and it was �860 we also bought a front extension for cooking etc. The good points are that it is totally waterproof and it easy to put up and looks a bit different from all the Outwells on site. You can also buy replacements bits quite easily. In extreme wind (gusts of around 50mph) it wasn't too happy and we had to take it down, as the guy ropes couldn't hold the sheer weight of the tent. Also the guy ropes have metal eyelets which seems to cut through the ropes when it is blown about a bit. We have also had to to replace the rubber stopper on the top of the main pole, some feet on the inside poles and rubber loop at the front. To help support the tent we have added more guy ropes. It is also a little bulky in its bag looks a little suspicious when you carry it into the house. 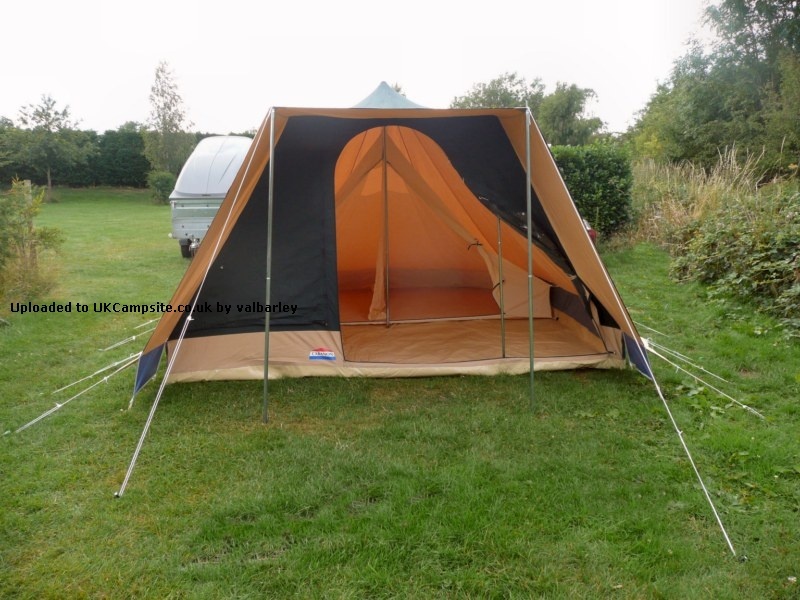 I agree that the inner tent is a little bit blousey and it does waste quite a bit of space and it would be good if there was a few more hooks inside so you get rid of some of the material. It doesn't have lots of windows but that is a benefit as we have had problems with water coming through windows with previous tents. 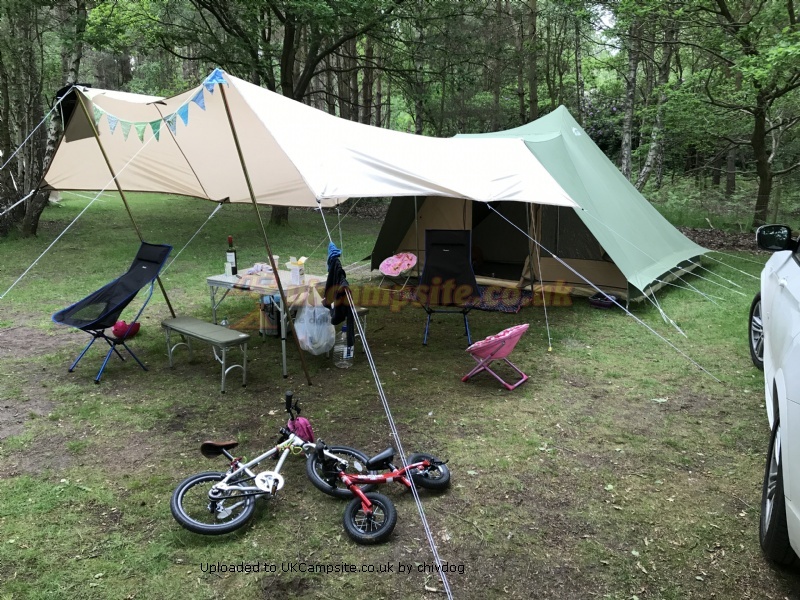 I would recommend this tent if you are looking for a tent to last for a good few years and are happy to replace bits etc. I bought this tent because I wanted a quick-erect tent for weekends and short stays for myself and two teenagers. We find it great for three, maybe four with smaller children, just. It's so simple and speedy to erect and like others have said, leaving the inner attached saves time. 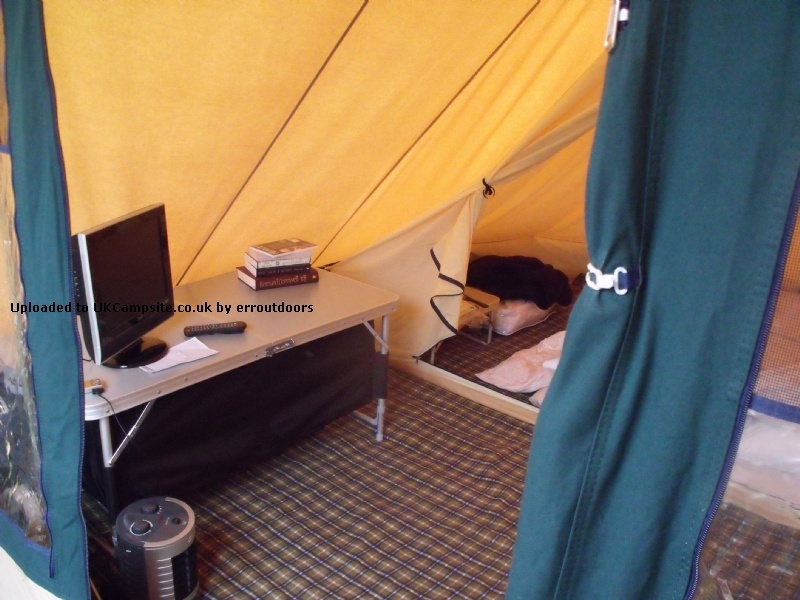 I am even lazier and leave the tent carpet inside as well, as long as we're packing up dry. 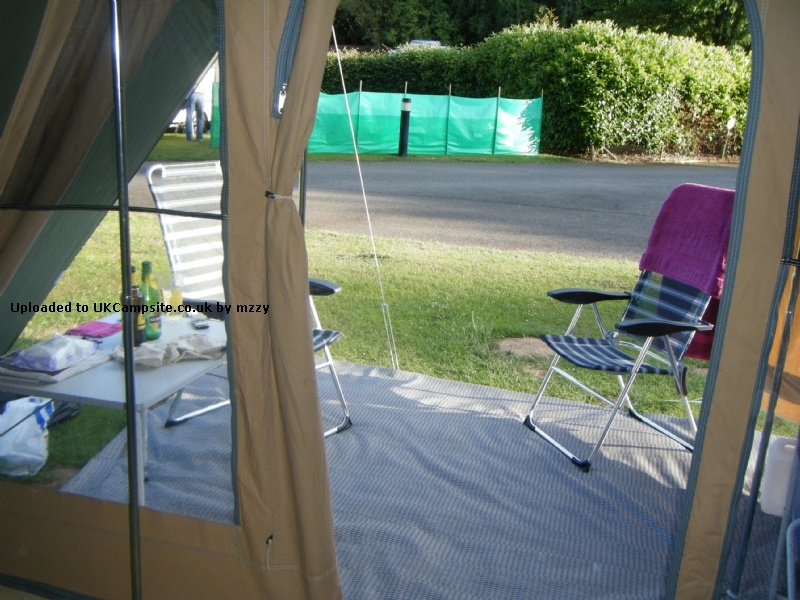 The tent bag it comes in is rubbish, so I would recommend buying an Isabella large sized awning bag (about �18). This zips out flat so you just roll the tent into the bag on the ground, this avoids all that lifting and heaving. The tent is fairly bulky and heavy but I manage it on my own (small unfit female) by unloading it were I want to pitch and simlply unrolling the tent from there. I have used the Barbados in strong winds and heavy rain and it performed superbly. I have total confidence in this tent. 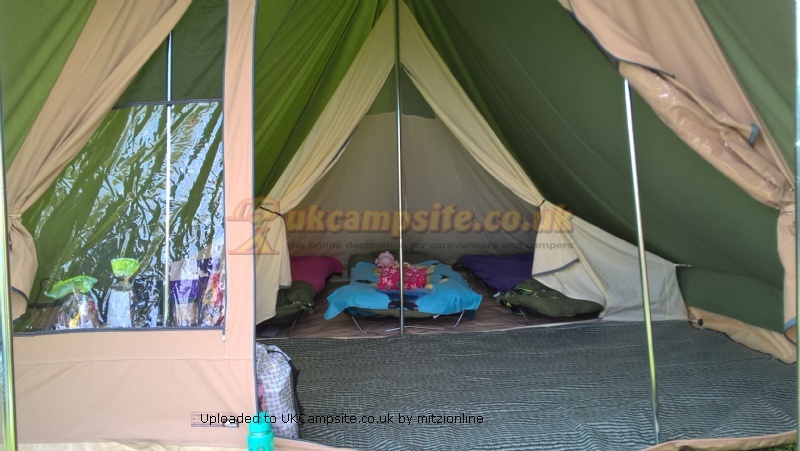 We like to use campbeds and it's possible to get two in the centre of the inner tent but no more because of the sloping roof. My daughter likes her own space so sleeps in the living area on a single inflatable bed which fits well along the side of the tent. 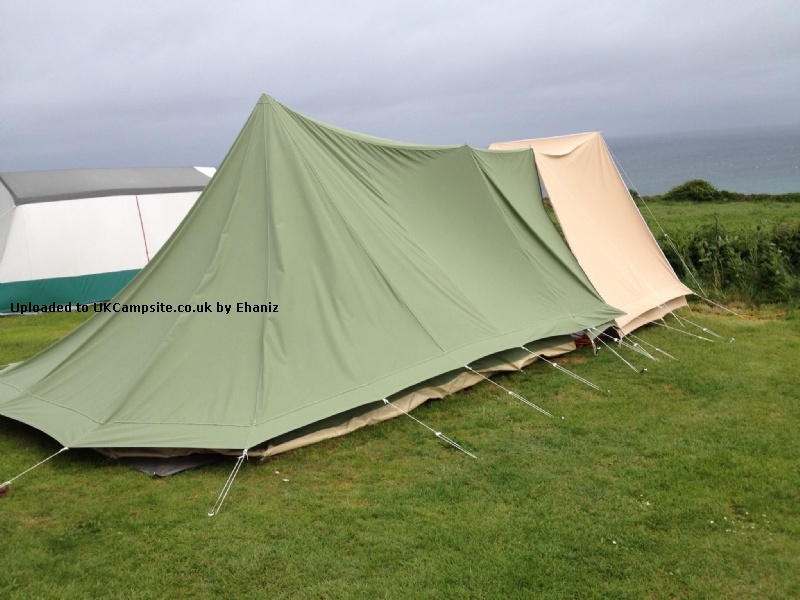 I have given the tent a score of 9, as there is no dedicated entry point for an EHU and the inner tent is too 'blouncy' and seems to have too much material hanging everywhere. The use a couple of clips to take up the excess material, helps . I have bought the two optional side cheeks which are handy to have. I use just one if the weather is good. However, if the chips are down and it's really raining hard, a tarp would be useful if you appreciate keeping dry while cooking! A dead-classy looking, proper tent. Gets loads of admirers on-site and is definitely a keeper! We have only used our Barbados for a weekend so far, but I love it! The pack size is not too big or heavy, I can put it up single handed if I need to, otherwise with 2 people it pitches like a dream, not a cross word was heard! Its plenty big enough for the 3 of us, we don't have lots of camping gear, just what we need, so it all fits in easily. 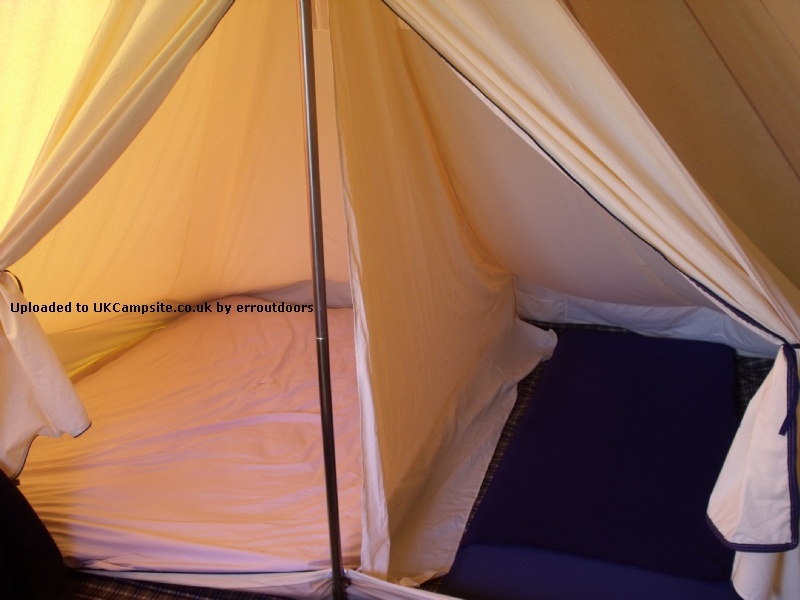 Its a simple design but zips/canvas are great quality, as you would expect from Cabanon. Shame there is no zipped bit for the EHU to go through. 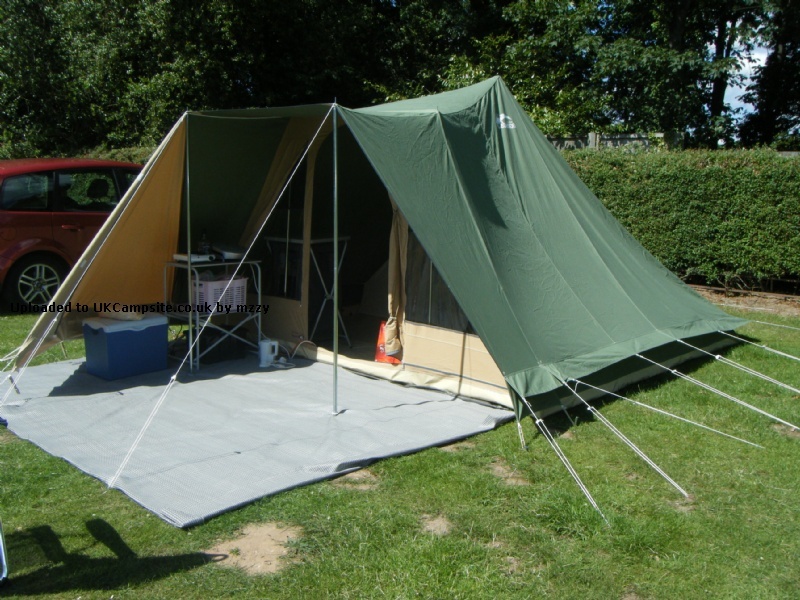 We have brought the 2 side panels, they are very expensive for what they are, but give the tent lots of outdoor, useful under cover space. I swear this will be the last tent I buy - honest! 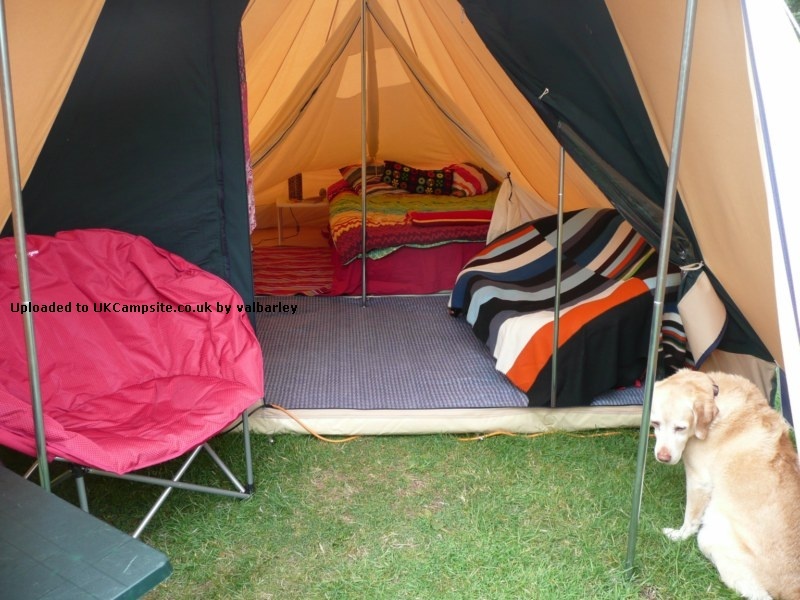 I had a Tentipi for a few years but as the family grew it became less practical. I love the canvas experience. I now have a Barbados. The design is great. Ideal for a family of four or five. Living area is plenty big enough if you can live without the full works. Sleeping area is fine for five or six at a push. We sleep three kids on one side and my wife and I on the other. 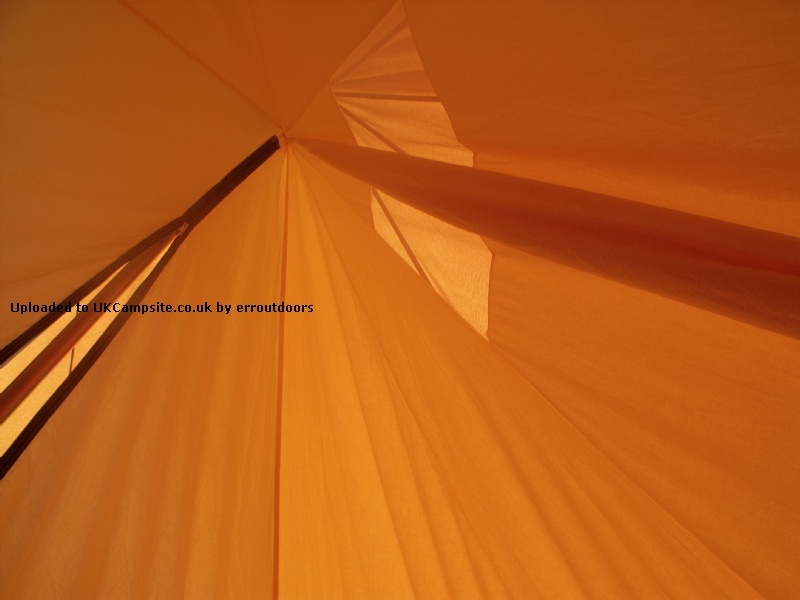 The quality is good and better than most, but not exceptional like the Tentipi. It is also far from portable. It is obviously not built for lugging around by hand, but is for car based camping. If the quality were exceptional I would give it a 10. Pitching takes my wife and I about 15 mins if we rush. 30 mins at relaxed pace. 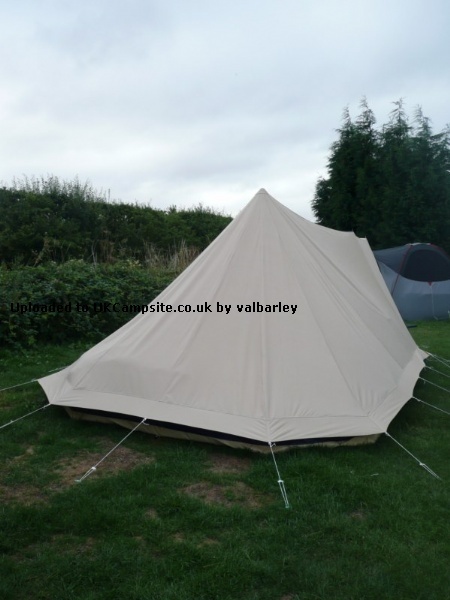 The Barbados has to be the easiest to pitch cotton canvas tent ever, with the smallest, lightest pole bag. 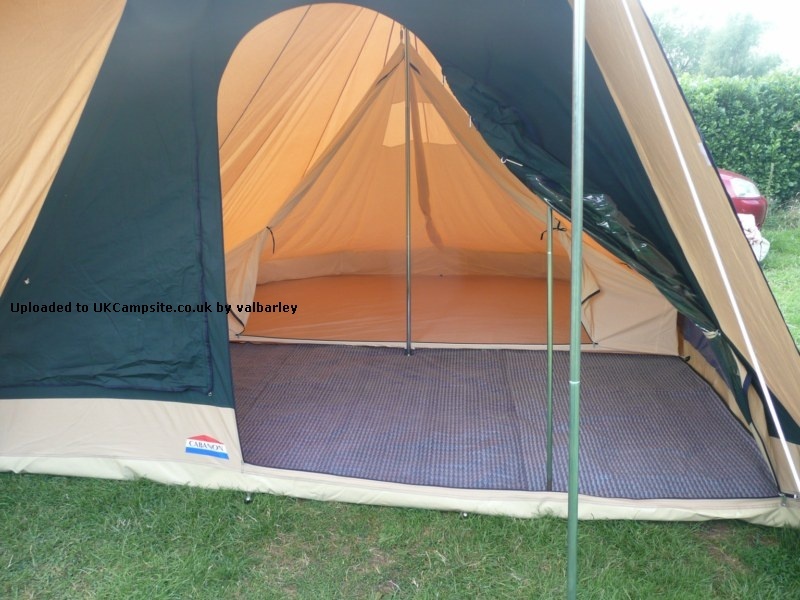 It's simply a lovely, cosy, comfortable tent; with a good sized bedroom inner (our 2 x Thermarest SIMs make a 5ft bed and there's bags of room to spare when the central dividing curtain is rolled up, or it will take 2 x doubles with the curtain down). We leave the bedroom inner in place (saves a lot of time next time we pitch), so long as we're not packing up wet. It's really worth getting two of the optional wind shields / front porch panels as they don't take long to fix on (just position under the front canopy; pop the front pole spike through the eyelet, velcro and peg out) and they do offer more privacy and provide a good storage / kitchen area, as well as providing more cover from the elements and somewhere to sit in the shade. The living area is ample for anyone for a table and 2 or 3 chairs, or a sofa / storage unit etc. Making this an ideal tent for a couple, or a couple with one child. The top of the windows have insect net panels (zip down the outer cover at night for privacy) and the front door can be left unzipped (stable door style) at the top, for ventilation. It would have been even better if they'd equipped the door with some insect net as well, but I'm still happy to give this tent 10 out of 10 because it's just a brilliant tent! I bought my Barbados late last year second hand but in very good condition, it was everything I hoped it would be to be honest. Very easy to put up with minimal help (took about 25 mins on first attempt. )not exactly sure how it's rated as a six man tent though, will sleep 4 ok but 6? all the zips are robust and the quality is fantastic. 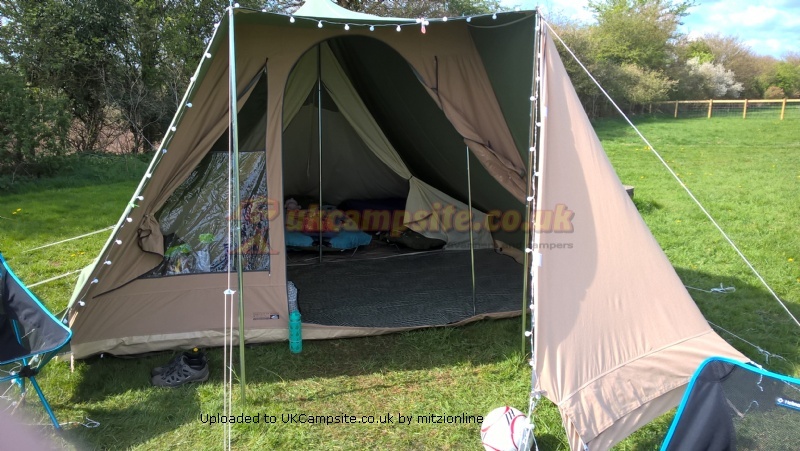 I have not had a chance to test this tent fully as on the weekend I have used it we only had a fine drizzle and light winds but even though it was chilly outside we were warm and cosy inside. 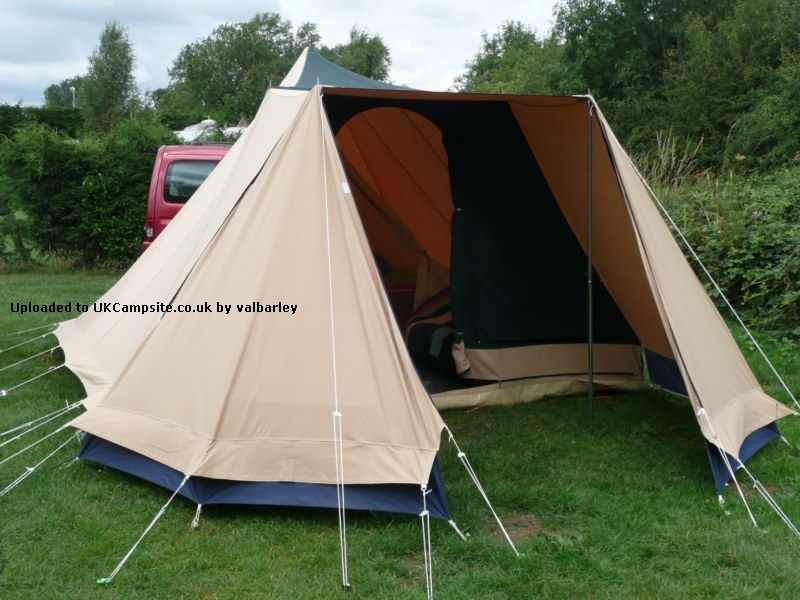 Overall I can not fault this tent so far and with the addition of a side panel which I have now ordered it can only get better. Canvas & zips all good quality. Add your review of the Barbados! 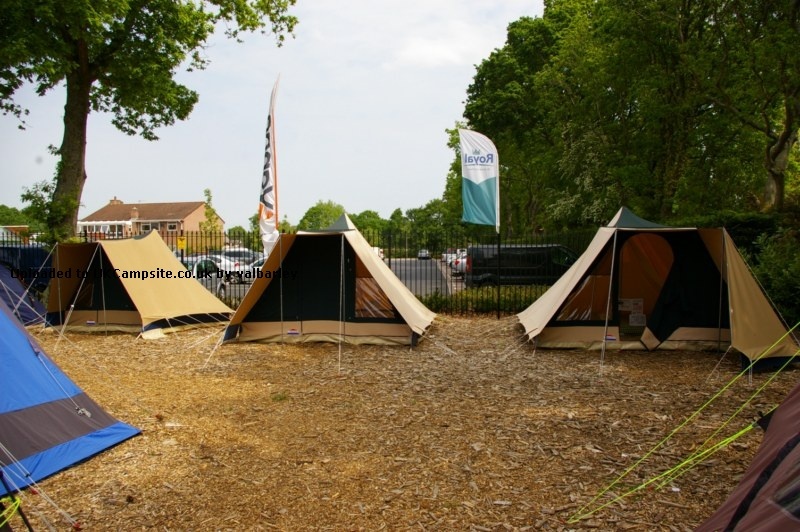 These pyramide-style tents are made in top quality, 100% cotton, are very simple to erect and have a strong, sewn-in, pvc groundsheet. 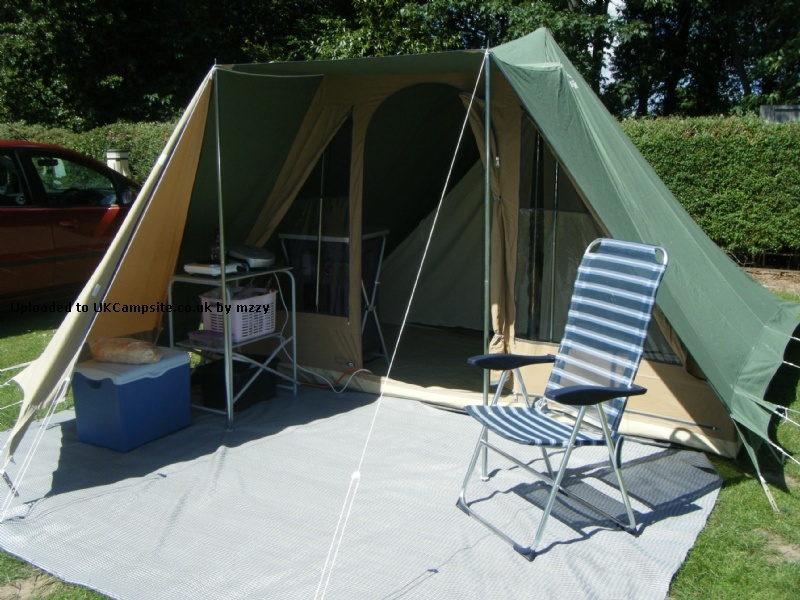 - optional sun canopy side panel/wind break can be fitted.